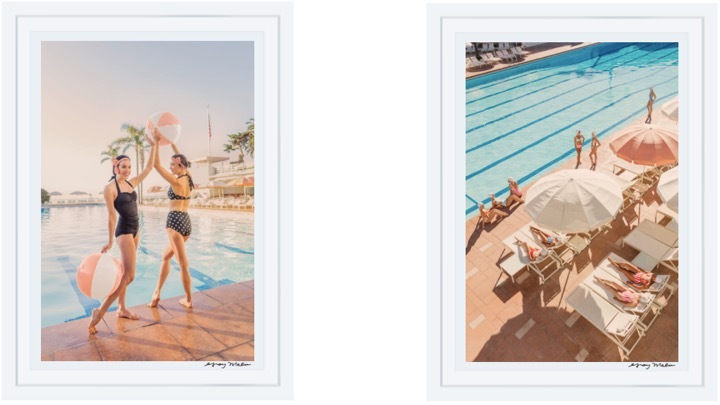 Nobody does beach art quite like Gray Malin, and once again, he has completely knocked it out of the ball park with his very recent collaboration with the Coral Casino Beach Club in Santa Barbara. 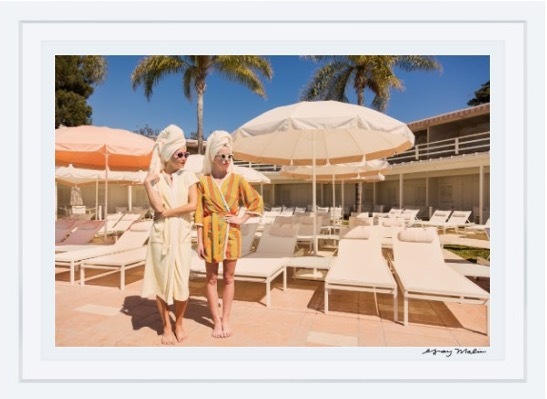 The series just screams summer and is perhaps another accurate portrayal of California dreaming. 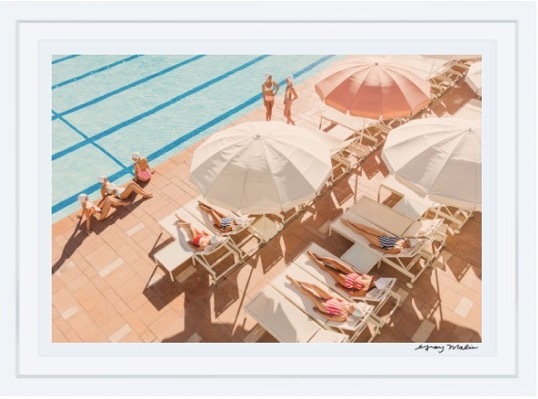 I love the coral and pink tones against the very bright blue sky and pool. Like all of Gray's art, taking a look just immediately transports you into somewhere absolutely beautiful, as if you can already feel the warm sunshine and expect a perfectly crafted cocktail to be delivered within moments from a gorgeous waiter. 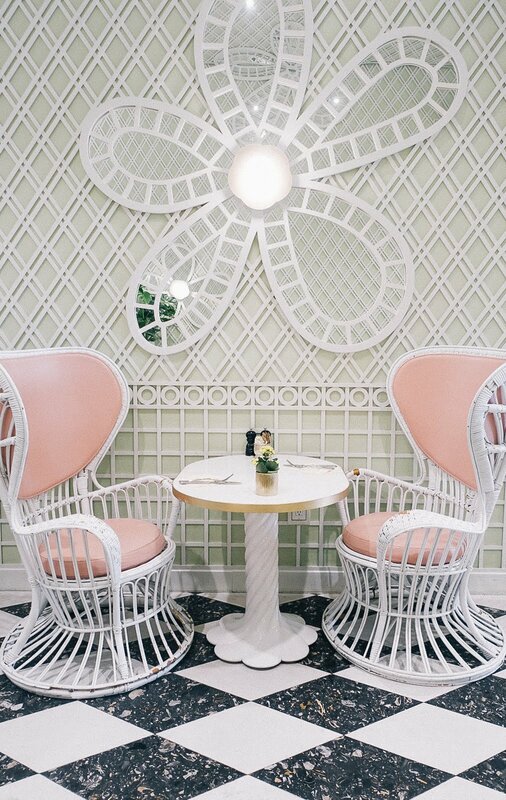 Similar to Slim Aarons' work, Gray tends to capture some of the most elite places around the world, ones that particularly have a reputation of perfecting luxury. And the Coral Casino Beach Club is no different, evoking that 'summer at the club' feel. The Coral Casino is members only but I went while staying at the Four Seasons across the street, which gives hotel guests access during their stay, and I can assure you it does not disappoint! If you ever plan a trip to Santa Barbara I highly recommend considering it just for the perk! Until then, we will just swoon over the very delightful slice of summer Gray serves up in this collection. Enjoy. Depending on where you live, you might have to drive for several hours, or fly, just to get there.,http://www.online-casino-freeguide.com/ on the other hand, When you choose an online casino, you remain in control. The games available for online casinos are even more diverse than those of traditional casinos.great site for play online casino that deal with the bitcoin. The greatest misstep that a starting player can make is to surge off to a club, a poker room or an online poker room, for example, PokerStars, Poker Party or Full Tilt poker and begin playing for genuine cash. This can be an exceptionally expensive slip-up.